ZP766 - NORI: Sapphire blue Magical PixieDust* with holographic hex glitter, perfect for any holiday festivity. ZP767 - THEA: Deep amethyst Magical PixieDust* with an orchid flash, packed full of party-ready holographic hex glitter. ZP768 - IMOGEN: Black crystal Magical PixieDust* with holographic hex glitter, just add an LBD and you’re off! ZP769 - PRIM: Velvet blue metallic, with a full coverage, high-density pigment and buttery smooth application. ZP770 - HAVEN: True holiday plum liquid metal with a thin vein of orchid for added brilliance. ZP771 - WILLA: Full-coverage, onyx black cream. 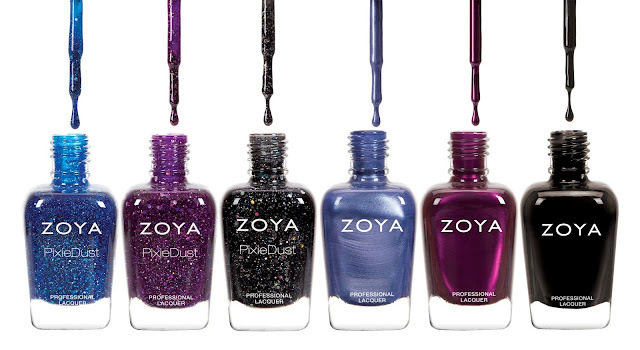 Zoya Magical PixieDust is textured, matte and sparkling. No base coat and top coat required. 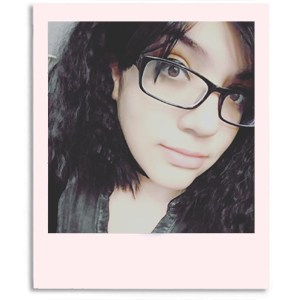 Stopping by from the Let's Be Friends blog hop. 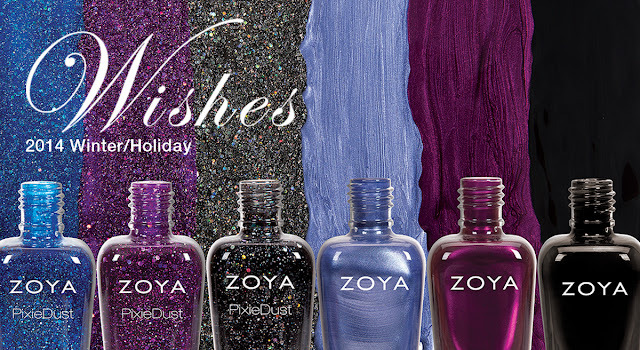 We love Zoya nail polish and are looking forward to getting some great holiday colors. Thank you for sharing!